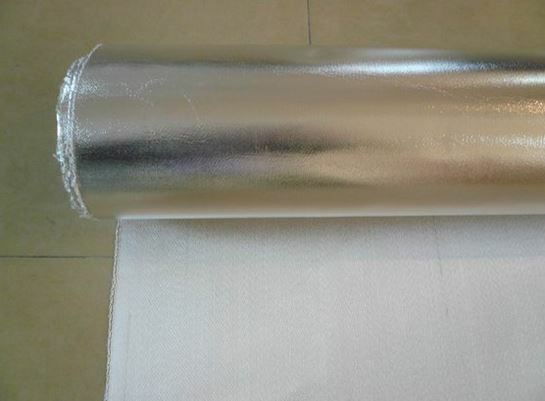 Aluminum Foil Fiberglass is high quality heat resistant material, which can resist more than 200 Celsius temperature; with this characteristic it provides a great solution for insulation.One side of the cloth is coated with Aluminum foil/polyester film which saves from intense radiant heat. Manufactured from a high temperature base filament/texturized fiberglass fabric which is coated with highly reflective polished aluminum. Aluminum foil thickness usually varies between in 7, 18, 20, 25 micron. WFF208A** is available with heat treatment.